It could be said that Abi came to the Seychelles via Australia, for it was on Ningaloo Reef that she first encountered a whale shark, ‘the best thing in the ocean’. She was in Australia between completing her BA in art and studying to be a secondary school teacher, and while learning to scuba dive she developed a love for the ocean. During the following years as a teacher she spent her evenings poring over marine-related books and documentaries and her holidays diving – and looking for whale sharks. It was Abi’s enthusiasm for these giant, spotted sea creatures that first brought her to the Seychelles, as an intern on a whale shark-monitoring programme with the Marine Conservation Society Seychelles (MCSS). She worked another two seasons on the programme and then led three whale shark-monitoring expeditions in Djibouti before returning to university to study for an MSc. For her placement she set up the ‘Academy by the Sea’ in the Seychelles and developed this marine education programme over the next 18 months. Five years after first setting foot in paradise, Abi feels very lucky to call the Seychelles home. Comprising approximately 115 islands in the Indian Ocean, the country relies heavily on marine resources – and they are at risk of serious depletion because they are not used sustainably and because the general public is not sufficiently aware of their importance. As Abi sees it, education is an essential tool in efforts to conserve the Seychelles’ marine environment and resources, and her skills as an educator and her knowledge of the ocean can help to make a difference in the country. She now manages the SOSF Lekol Zil Sesel – Island School Seychelles marine education project. In the close-knit family community of the Seychelles, young people play an influential role on their parents and extended family members, and as their knowledge and interest develop they become the voice of marine conservation within their community. A marine educator and coral researcher, Abbie has more than 12 years’ experience of educating people of all ages and abilities – and many more years submerged and passionately embracing everything marine related. 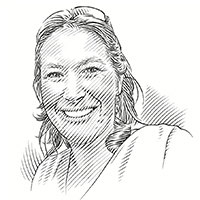 She worked in various countries on coral reef research expeditions, coordinating volunteers and training them to identify and survey vulnerable reefs, liaising with in-country partners and providing advice on coastal management issues. She subsequently undertook an MSc in tropical coastal management. Her final research paper, on marine education being used as a form of management to reduce damage to coral reefs, was presented at the 2007 International Pacific Marine Educators Conference (IPMEC) in Hawaii. 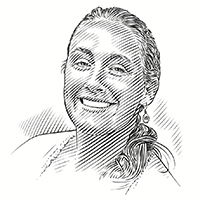 As the resident marine biologist and environmental advisor for luxury resorts in the Maldives for three years, Abbie learned about putting into practice an educational programme for resort guests. She simultaneously worked on a coral propagation project and started another initiative for the Save Our Seas Foundation (SOSF), which not only demonstrated an improvement in the health of the reef, but also acted as an educational tool for resort guests and local schools, and a means of spreading awareness about coral reefs. Abbie subsequently worked in the Kingdom of Saudi Arabia on a reef restoration and education project for the SOSF, expanding its education element and moving it to the Seychelles in 2010. There she set up, developed and ran an extensive marine-awareness project that has now been integrated into the SOSF Island School Seychelles, with Abbie as project advisor. In 2011 Abbie founded WiseOceans, a concept she’d been mulling over for many years. It’s based on a culmination of her experiences in coral recruitment, reef monitoring and rehabilitation, turtle nesting surveys, research into manta rays, whale sharks and plankton, and studies into fish identification, abundance and diversity. Fred has a great passion for the environment and is fascinated by the natural world. 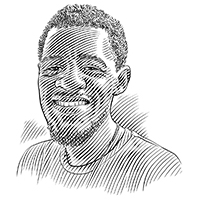 Born in the Seychelles, he was inspired by his father, who worked as a gear technician at the Seychelles Fishing Authority. His dad was his role model and taught him the names of different fish species, as well as how to tie knots and make nets. Fred also assisted his dad during fishing expeditions. As Fred grew up, so his love for nature and his curiosity about the environment around him developed. Before joining the Save Our Seas Foundation Island School Seychelles, Fred taught physical education at a primary school. As a teacher he has always shared his love for and knowledge of the environment with the younger generation, believing that children are tomorrow’s conservationists. He joined a community-based organisation called Bel Ombre Action Team and has been an active member for the past four years, involved in designing the logo, doing community work and taking part in environmental awareness campaigns. In 2014 he was elected to the committee as the assistant chairperson. Fred’s inspiration, motivation and willingness to learn and develop his knowledge of the marine realm grew after helping Abi with the Marine Explorers’ Programme in 2014. His enthusiasm and willingness to be immersed in the programme led to him being offered a full-time position with the team. As project assistant for the Island School Seychelles, Fred believes he’s transforming the lives of many people, especially the young. He thinks that the Seychellois, being surrounded by the sea, should always protect and conserve what they have for future generations and that they should, most of all, nurture a love of the sea.